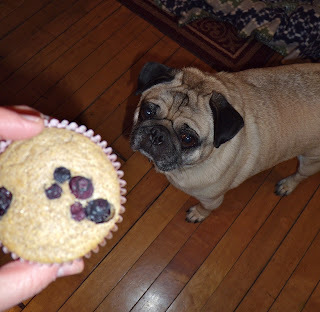 One thing I missed when I started eating gluten-free/wheat free was having a really hardy, tasty muffin. I know that might sound silly to some people - but nothing beats muffins fresh out of the oven, especially in the winter. A grain that I have enjoyed incorporating into our diet lately has been Buckwheat. (Buckwheat is a gluten-free). 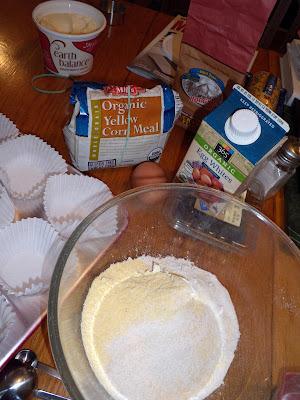 So I decided to try using Buckwheat flour to make some gluten free muffins. 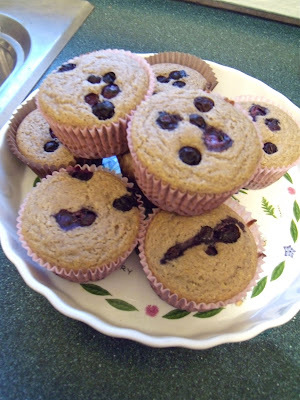 The Gluten-free Blueberry Buckwheat Corn Muffin recipe below is just wonderful. I've been making them for us at least once a week. Lowfat and delicious, the first time I made them I ate 3 right out of the oven! These muffins are also a great food item you can make to help introduce your friends and family to alternative grains. We would all benefit health-wise from eating less wheat, especially with the GMO's that is currently found in the flour we eat. enjoy! Mix together all ingredients. Batter will be thin. Fill muffin tins 2/3 full - muffins will rise. Put blueberries on top of each muffin, poke down and bake aprox 15 minutes. *You can try stirring the berries into the batter, but they will most likely sink because the batter is thin. Another Buddy Fergurson approved Recipe! "We would all benefit health-wise from eating less wheat, especially with the GMO's that is currently found in the flour we eat. enjoy!" -Yeah, i agree that we may get more healthy if we avoid foods that are GMO's. There are many risk in consuming GMO foods than organic one.